Are you worried about the lack of familiar on-premise administrative utilities like MaxL and LCM with Oracle Cloud Solutions? You don't have to be! EPM Automate is an easy to use command line utility that allows you to remotely perform and automate administrative tasks for your Oracle Cloud instance. Oracle EPM Automate can perform administrative tasks like importing and exporting metadata and data, refreshing and clearing cubes, etc. 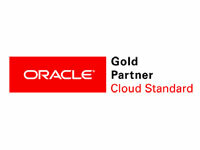 It is supported by ARCS (Oracle Account Reconciliation Cloud Service), EPBCS (Oracle Enterprise Planning and Budgeting Cloud Service), FCCS (Oracle Financial Consolidation and Close Cloud Service), PBCS (Oracle Planning and Budgeting Cloud Service), PCMCS (Oracle Profitability and Cost Management Cloud Service) and TRCS (Oracle Tax Reporting Cloud Service) applications. You can create scripts that can complete a wide array of tasks and automate their execution using a scheduler, e.g., create a script to download the daily maintenance backup from environments to create local backups of your artifacts and data. Want to learn more about Oracle EPM Automate? Please complete the form below and a MindStream representative will contact you. MindStream was the secret to our project success! They provided our team with the deep product knowledge of Oracle Fusion System 11 Planning that resulted in our new, highly consolidated analytic capabilities." Oracle has the most comprehensive suite of integrated, global business applications that enable organizations to make better decisions, reduce cost..